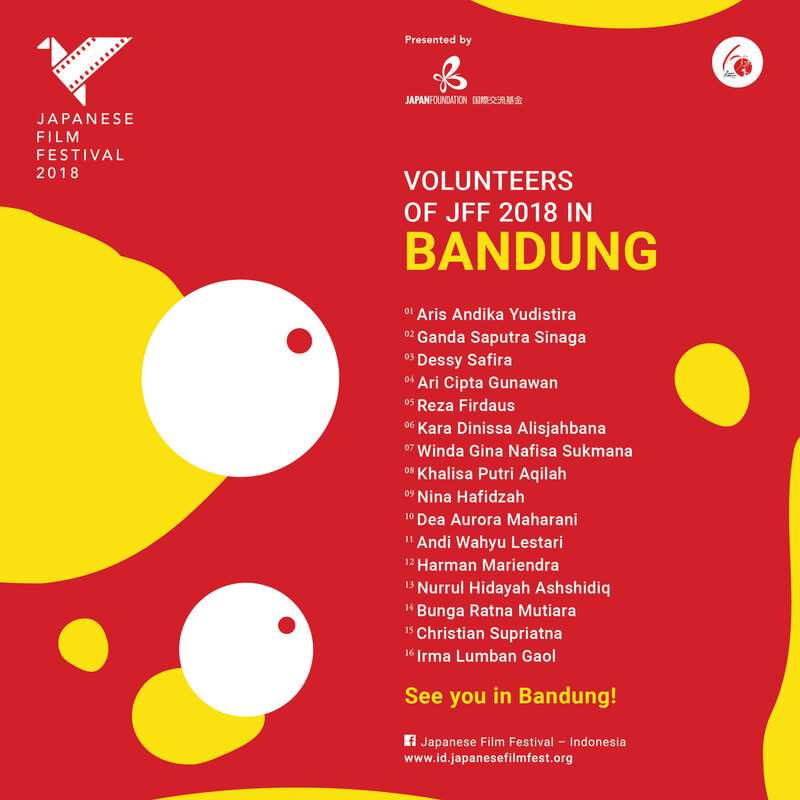 Volunteers of JFF 2018 in Bandung. Congratulations for taking part in Japanese Film Festival 2018, Bandung. Looking forward to work with you!.